In taut and haunting prose, Andrew Coburn left a memorable impression as both novelist and journalist. Born in Exeter, N.H., on May 1, 1932, Coburn became serious about writing while fulfilling his military duty in Germany and earning a degree in English at Suffolk University. After landing a position with the local newspaper, the Lawrence Eagle-Tribune, he put his talents to good use. Building his career as a journalist covering organized crime by day, he managed to spend nearly every night writing fiction until dawn. His successes on the beat earned him steady promotions all the way to city editor, and he eventually founded two newspapers of his own, though fiction would be his future. Winning a Eugene Saxton Fellowship in 1965, Coburn drew upon his experiences on the streets of Lawrence to publish his first novel, The Trespassers, in 1974, followed by The Babysitter in 1979, and eventually eleven other novels, a novella, and a host of short stories and essays. A master of language and dialogue grounded in a strong sense of place, Coburn won both wide readership and praise from other writers. His work has garnered nominations for the Edgar Allan Poe Award and Pushcart Prize and has been translated into 14 languages. Three of his novels have been made into films in France. He was married to Bernadine Casey Coburn, a former journalist and public relations expert, with whom he had one son and four daughters. The Coburn Papers contain working drafts and page proofs of Andrew Coburn's novels and short stories, along with selected correspondence, and dozens of journals, scrapbooks, and notebooks used in his fiction. In many cases, the completeness of the collection makes it possible to follow a work from its earliest inception, often recorded as a sketch (literal or in prose), through to its final iteration. Andrew Coburn was born on May 1, 1932, in Exeter, N.H., to Andrew Coburn, Sr., and Georgianna Nedeau. As a child, Coburn moved from Exeter to Haverhill, Mass., where he graduated from Haverhill High School in 1950. He joined the U.S. Army in 1951 and was stationed in Frankfurt, West Germany, for three years, attaining the rank of staff sergeant. Upon his return to the U.S., he attended Suffolk University in Boston from 1954 to 1958. At Suffolk, Coburn majored in English with a minor in philosophy and worked as a nightclub waiter, a bank clerk, a tree pruner, and a federal civil servant. After college, Coburn worked at a local bank, a job he quit in 1963 to go back to Germany in hopes of finding a more fulfilling career. He was unsuccessful and eventually returned home, penniless, to his wife and two children, and took a job as a crime reporter for the local Lawrence Eagle-Tribune in North Andover, Mass. This proved to be a turning point, as Coburn would go on to work as a journalist and reporter for many years, primarily investigating organized crime in Massachusetts. During his ten years at the Tribune, he was promoted up the ranks to city editor, garnering a United Press Award in 1967 and an Associated Press Award in 1968 for his work there. After this, Coburn spent five years as a copy-editor and literary critic for the Boston Globe, from 1973 to 1978, and eventually founded two newspapers of his own: The Journal of Greater Lawrence and Greater Lawrence Today. From 1978 to 1981 he was a political columnist for several Massachusetts newspapers, until he committed to working on his fiction full-time. Coburn's investigative work on organized crime in the greater Boston area was so thorough that at one point there was reportedly a contract out on his life. Coburn was concerned enough by this that he purchased a gun for self-defense, although he admitted in an interview that he didn't know anything about guns and was so afraid one of his daughters would find it that he hid the gun in the house and kept the ammunition in the trunk of his car. Coburn began to publish his short fiction in newspapers and journals in the early 1960s. His stories were published in the Transatlantic Review, Short Stories Today, and the Lawrence Eagle-Tribune. In 1965 he was awarded the Eugene Saxton Memorial Fellowship for young writers in order to finish his first novella, The Cottage. In 1974, Coburn published his first novel, The Trespassers, inspired by his experiences working for the Eagle-Tribune. It was the beginning of a long and successful literary career. By 2006, Coburn had published thirteen novels, which have been translated into fourteen languages around the world. Three of his novels have been adapted into well-received films in France. Off Duty (1980) was adapted into Un dimanche de flic in 1983, Widow's Walk (1984) into Noyade interdite in 1987, and Sweetheart (1985) into Toute peines confondues in 1992. Drawing on years of investigative journalism and on his personal experiences with the criminal underbelly of Massachusetts, a haunting realism pervades Coburn’s novels. His tight, elegant prose paints startling portraits of the dark side of suburban America. Organized crime, serial killers, kidnappings, corporate corruption, and unhappy marriages are just some of the subjects of his works. Throughout his writings, it is evident that Coburn was very interested in exploring the domestic side of crime and the banality of evil. Although not always sympathetic, his characters are fascinatingly flawed and highly nuanced, exerting a life of their own. Of his writing and his subject matter, Coburn has said that during his years as a newsman, his closest friends were criminals, police officers, and trial lawyers, and that he saw in each of these ostensibly different kinds of people something of the others. It was this blurring of the distinction between good and evil, and these common elements of comedy and tragedy, that Coburn wanted to bring to his fiction. He did not consider a character real until they could cast a shadow of their own and do something that he did not expect them to do. He cited some of his favorite authors as Virginia Woolf, William Faulkner, and Joseph Conrad. Coburn's writing has been compared to works of Alfred Hitchcock, Graham Greene, Dashiell Hammett, and John Updike. In recognition of his literary and journalistic achievements, he was awarded an honorary doctorate of letters from Merrimack College in 1987. Among his novels are two series, the Sweetheart Trilogy--Sweetheart(1985), Love Nest (1987), and Goldilocks (1989), which was nominated for an Edgar Award in 1990--and the Bensington Novels--No Way Home (1992), Voices in the Dark (1994), and On the Loose (2006). Coburn's novels are primarily set in the suburbs, where appearances of civility and normalcy often conceal dark secrets, moral deviance, and corruption, while decent people struggle, with mixed success, to hang on to their convictions. Another notable novel of Coburn's is Birthright (1998), a fictionalized retelling of the infamous 1932 kidnapping and murder of aviator Charles Lindbergh's infant son. The novel's premise is that the kidnapped child survived, grows up unaware of his true identity, and eventually decides to run for president. Birthright was Coburn's favorite of his own novels, and he kept more notes and drafts chronicling its creation than for any of his other works. The working title for Birthright was "Eagle," although at one point "Child of Silence" was also considered. In the creation of his novels, Coburn took extensive notes. He filled dozens of journals with his own writing, as well as newspapers clippings and photographs. News and current events dominate these journals, which also contain research on a variety of other topics. In addition, he kept numerous story and character notes for his novels and short stories, many featuring sketches and drawings of his characters. Coburn married Bernadine "Bunny" Casey, a former journalist and public relations expert, in 1955 and had one son, Kevin, and four daughters: Cathleen (b. 1955), Krista (b. 1958), Lisa (b. 1960), and Heather (b. 1964). He kept a good deal of correspondence from his wife and children, as well as some of their writings. His eldest daughter, Cathleen, took after her father with her interest in writing, and they corresponded frequently over the years. As Coburn began to age, Cathleen and Bernadine took over most of his correspondence with his literary agent and various publishers concerning his later works, in particular the short story anthology Spouses & Other Crimes , which was published in 2014. Coburn passed away in August of 2018, at the age of 86. The Andrew Coburn Papers document the life's work of a Massachusetts journalist and crime fiction author through five decades of journals, scrapbooks, notes, correspondence, story drafts, articles, and publication proofs. The collection offers a rare and invaluable look into the process of one writer's life and career, and in some cases document the creation of a novel from initial idea to finished product. Included are decades of correspondence, both personal and professional; publishing contracts and royalty statements; numerous novel drafts, notes, and page proofs; short story drafts and publication copies; dozens of journals containing handwritten notes, newspaper articles, and magazine clippings; and a collection of audio and videocassettes consisting of interviews and several copies of the French film adaptations of Coburn’s novels. This series is arranged chronologically and contains both professional correspondence related to Coburn's writing and personal correspondence with friends and family. His correspondence with his literary agent, Nikki Smith of Smith/Skolnik Literary Management, documents editing, arrangement, contracts, royalties, and all other aspects of the writing and publishing process. He received many letters from readers over the years, and also corresponded with a variety of publishers, as well as the literary journals, magazines, and newspapers in which he published his short fiction and essays. This series contains materials related to Coburn’s novels, including typewritten manuscript drafts, edits, page proofs, handwritten notes and drawings, related correspondence, outlines and proposals, and book reviews. Arrangement is chronological by publishing date, with unpublished works filed at the end. Working titles for notes and early drafts are included alongside the final title where applicable. Drafts of every one of his published works, except Voices in the Dark (1994), are included, as well as notes for every published novel. Drafts and notes for four unpublished works are included in this series. These include: The Cottage or A Breach of Life (1967), Another Irishman (1993), Of Three Minds (2003), and Turtle Soup (2009). Another Irishman, which came the closest to publication of the four, was rejected by Coburn’s publisher in favor of Birthright. This series has been arranged alphabetically by title. Earlier drafts with working titles include the working title following the final title on the folder. Coburn wrote an extensive number of fiction and nonfiction short stories, essays, and articles, at times blending fiction with reality and story with report. Essays and articles written during his time as journalist are interfiled with his short stories due to the difficulty in consistently distinguishing between them. Although most of Coburn’s short stories stand alone, one of them, "Preacher's Passion" (or "The Chief's Seed"), is a follow-up to Coburn's 1994 novel, Voices in the Dark. Also included are four drafts of Coburn's 2014 short story collection, Spouses & Other Crimes, and several drafts of a much larger planned short story and essay anthology, entitled Midnight On: A Writer's Notebook, which features a substantial selection of his short fiction. 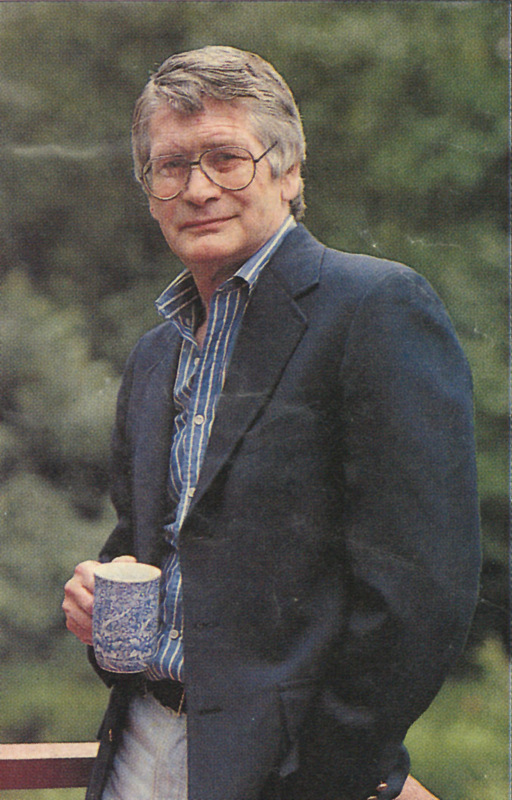 Several of his earlier short stories were published in the literary journal The Transatlantic Review, of which 3 issues containing Coburn's writings are included. Included in this series are Coburn’s book contracts, contracts for film adaptations of his novels, publishing agreements, book reviews, guidelines and submissions for literary journals and magazines, financial documents such as royalty statements, and other materials related to the publication of Coburn's novels and short stories. The largest series in the collection, Coburn's journals and notes span from 1951 to 2014 and contain an assortment of newspaper clippings, photographs, notes, story ideas, diary entries, and sketches. His earliest journals, from 1951 to 1954 document his time serving in the United States Army. This series contains documents, photographs, and publications related to Coburn's personal life and family, including a 1950 yearbook from Haverhill High School and several written interviews. This series contains a selection of VHS tapes, audiocassettes, and CDs. The VHS tapes include several copies of Toutes peines confondue (1992), the French film adaptation of Coburn's novel Sweetheart, as well as some home-videos related to Coburn's family and writing career. The audiocassettes contain mainly interviews with Coburn and his wife Bernadine Casey Coburn, and the CDs contain digital copies of Coburn's short stories. Audiocassette: Bernadine Casey Coburn "People Are Talking"
Acquired from Andrew Coburn, 2016. Processed by Emma Gronbeck, 2018. Cite as: Andrew Coburn Papers (MS 936). Special Collections and University Archives, University of Massachusetts Amherst Libraries.